You can now set a sales order as tax inclusive or tax exclusive by setting a tax policy on the sales price list. Go to Winery Setup > Sales > Sales Price List and create a Price list. 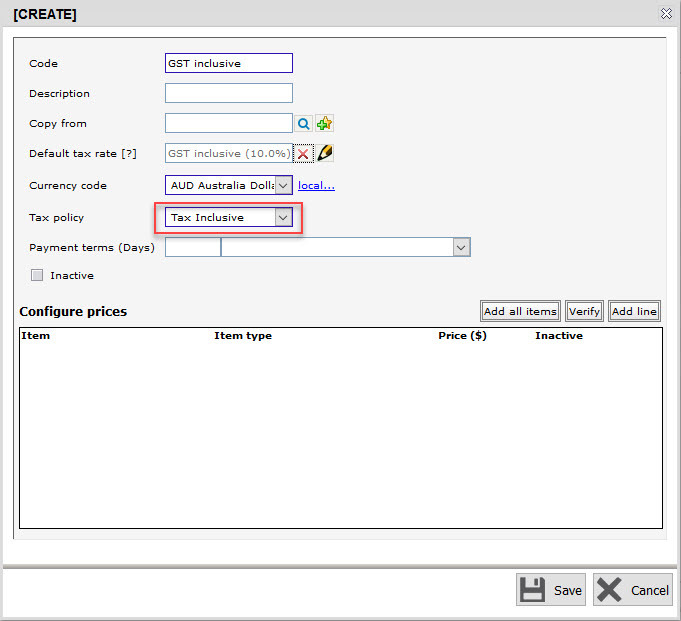 In the Create screen, enter the mandatory fields such as Code, Default tax rate, and Currency code. Then select the Tax policy for the price list. In the example below, we have selected Tax Inclusive. Save the Price list. 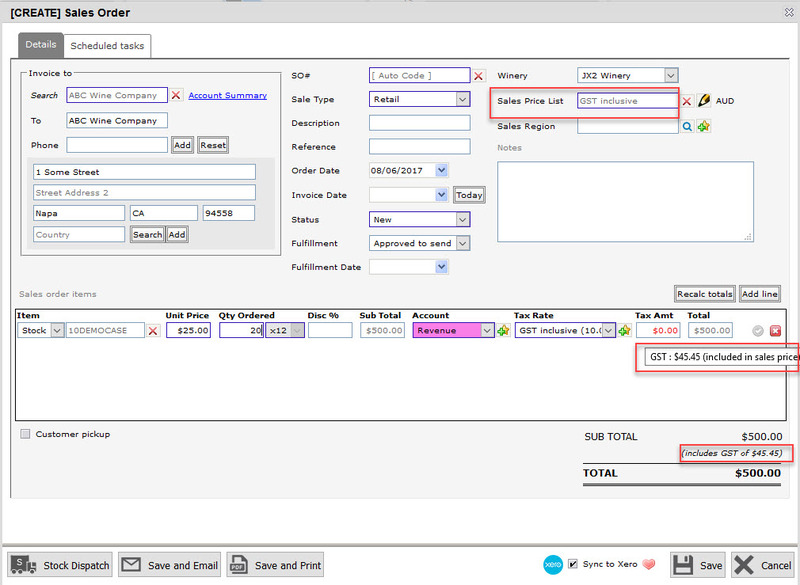 Head into Accounts > Sales orders and create a Sales order. Select the Price list you have created in the previous step and enter the Stock item details. 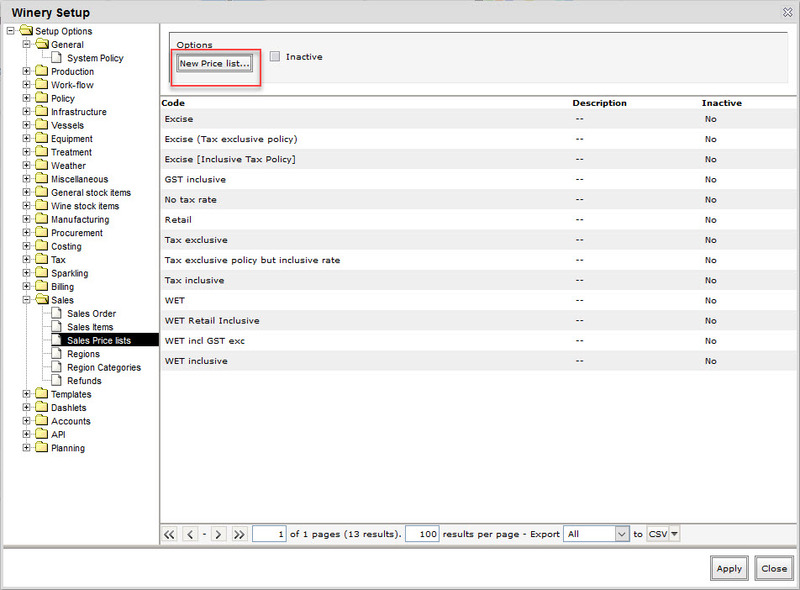 When you hover your mouse over the Tax Amt column, you will see how much tax is included in the sales price. You can also see the inclusive taxes breakdown after the SUB TOTAL field.